There are thousands of Buddhist texts considered to be scripture or canonical by Buddhists. While each school of Buddhism classifies these texts differently, and they don't all include the same texts, in general they fall into two major categories – the Buddhavacana, which literally means 'words of the Buddha', and all other texts, mostly commentaries by later Buddhas and teachers. 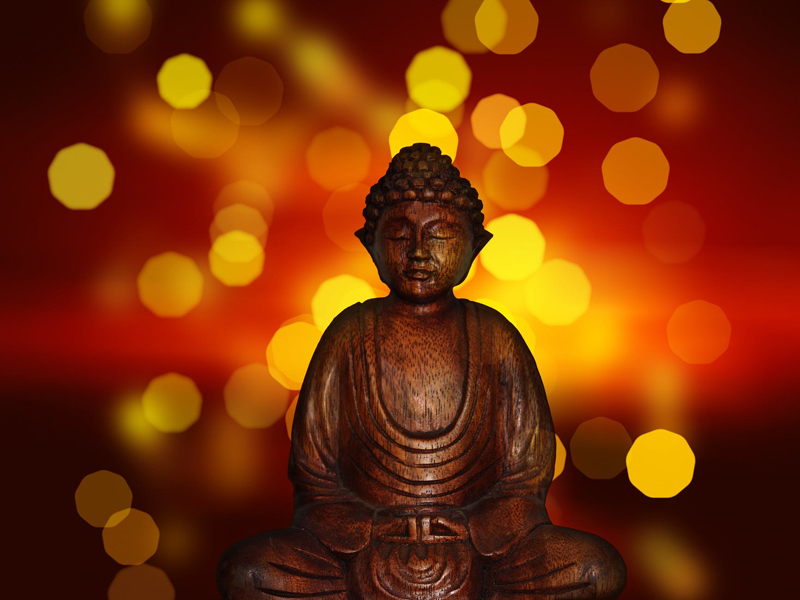 Sutras (in Sanskrit) or Suttas (in Pali) – the Buddha's actual talks and discourses. These are teachings believed to have been given orally by the Buddha, and written down by his closest disciples, or handed down orally for several generations. One of the most well-known of these is the Dharmapada (Sanskrit) or Dhammapada (Pali), probably the most oft-translated Buddhist text. Note that Sanskrit and Pali are two historical Indian languages, and differ slightly in their spellings of many Buddhist terms. An overview of major suttas is available here. Vinaya – Guidelines and rules for Buddhist monks and monastic communities, also passed down directly from the Buddha, although many schools have their own variations. Abhidharma – These are elaborations on the Buddha's teachings, particularly the sutras. Interpretations vary as to what these represent, with some schools considering them scholarly abstracts and others claiming the Buddha relayed these teachings himself through supernatural means. Together these three components, the sutras, vinaya and abhidharma, make up the Tripitaka (Sanskrit) or Tipitaka (Pali), the primary Buddhist scripture canon. Within Theraveda Buddhism, the modern descendant of earliest Buddhism, the Tripitaka is often referred to as the Pali Canon. In the early 1990's, the oldest known set of original Buddhist texts were uncovered, written on birch bark and believed to have been written in the first century C.E. They had been rolled and stored in clay jars in ancient monasteries for preservation. Sometimes called the 'Buddhist Dead Sea Scrolls' because of their historical importance, they are currently being compared to the Pali Canon by several museums and universities, including the British Library and University of Washington. These projects have the potential to change our understanding of Buddhist history and scripture. For the most part, the other major schools of Buddhism, Mahayana and Vajrayana, accept most or all of the Tripitaka as foundation Buddhist teachings, although individual traditions within different cultures exclude certain texts, or emphasize one over others. However, these traditions also have additional texts that they consider to be canonical. Mahayana Buddhists, which includes Zen and Tibetan Buddhists, have their own set of additional sutras, called the Mahayana sutras, which they also consider to be authentic teachings of the Buddha. According to legend, some of these were transmitted secretly by the Buddha to a few advanced pupils during his lifetime, because most of his students were not yet ready to receive them. Others were believed to be stored in non-human realms until humanity was ready to receive them, at which time they were transmitted to contemporaneous Buddhas and bodhisattvas. Vajrayana or Tantric Buddhists, the most prevalent of which are found within Tibetan Buddhist schools, have an additional set of texts called the tantras. These focus on specific practices and rituals for spiritual advancement. In the Tibetan tradition, many are considered to be termas – teachings that were magically encoded and hidden by Buddhas, dakinis, or bodhisattvas, until the appropriate point in history arrived for them to be found an relayed to humanity. The most famous terma Tantric text is probably The Tibetan Book of the Dead. Another kind of text commonly used in Zen Buddhism are collections of koans. Koans are riddles or questions with no logical answer that are designed to help a student reach a new understanding through direct inquiry. The most well-known koan is probably 'what is the sound of one hand clapping?' Although koans are not considered Buddhist scripture per se, collections of them are an important teaching tool within some schools of Zen Buddhism, particularly Rinzai.